Up Close Video of VOR Leg 9 Start Onboard a Jeanneau 51! Bluenose Yachts Blog Up Close Video of VOR Leg 9 Start Onboard a Jeanneau 51! 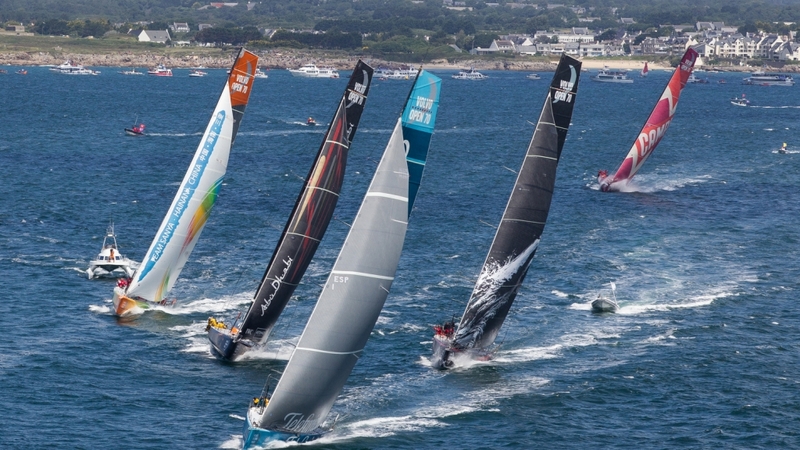 Up close view of the start of Leg 9 of the Volvo Ocean Race, video below! Bluenose Yachts and Jeanneau America enjoyed being an In Port sponsor for TEAM DONGFENG. The Dongfeng VIPs enjoyed being on a Jeanneau 509 and Jeanneau 51 to view the races here and ironically they were all associated with AIR FRANCE. While the weather could have been a bit better, the races were exciting and we look forward to the next Volvo Ocean Race here in Newport in three years. For the past 60 years Jeanneau has been involved in the world’s premier racing events, either as a participant, a sponsor, or simply as an enthusiastic ambassador to the sport. Since 1956, Jeanneau has been dedicated building quality boats for those of us who share a passion for being on the water. Today, Jeanneau is a global leader in yacht production — Big boats, small boats, power and sail. Wherever there is water, you will find people enjoying their Jeanneaus. Our channel “The World of Jeanneau” offers just a taste of the many, many experiences to be had worldwide. Special thanks to Paul Fenn, of Jeanneau America, who was our videographer and Scott Rocknak, who assisted with the other photos. The video below is from Paul Fenn. The video was taken on board a Jeanneau 51.